Catholic Australia has been created to be both informative and user-friendly, your first port of call if you want to know more about the Catholic faith, or the activities of the Church in Australia. Are you looking for the answer to a faith question? Do you want to know what Baptism means? Are you organising a wedding? Need to know how to plan a funeral? Or would you like to discover more about the Church at home? 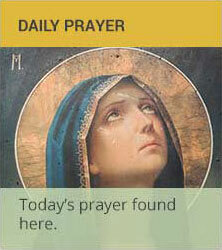 Such as - Where is your local parish? How do you contact your Bishop or Archbishop? Whether you are a Catholic who has been out of touch with the Church for some time, or are looking for information to help you discover more about the Catholic faith, this is the website for you. Church Resources is proud to publish Catholic Australia, one of the organisation's stable of award-winning, faith-based publications, including CathNews and CathNews Perspectives. Church Resources also provides a range of services for the Church and Not-For-Profit sector, including aggregating buying power for a wide range of products and services used by health, welfare, aged care, education, and parish organisations. Membership to Church Resources is free to all Church and not-for-profit organisations. To find out, more call us on 1300 CHURCH (1300 248 724). 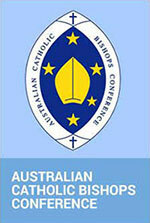 Please note: This web site brings together resources relating to the Catholic Church in Australia. The resources have been made available through the generosity of our contributors. While all care is taken to check the material, we are not responsible for errors or omissions. This is especially true of links to external sites as we have no control over that content. If you would like to re-use any material from this site, please contact us and we will try to facilitate that.